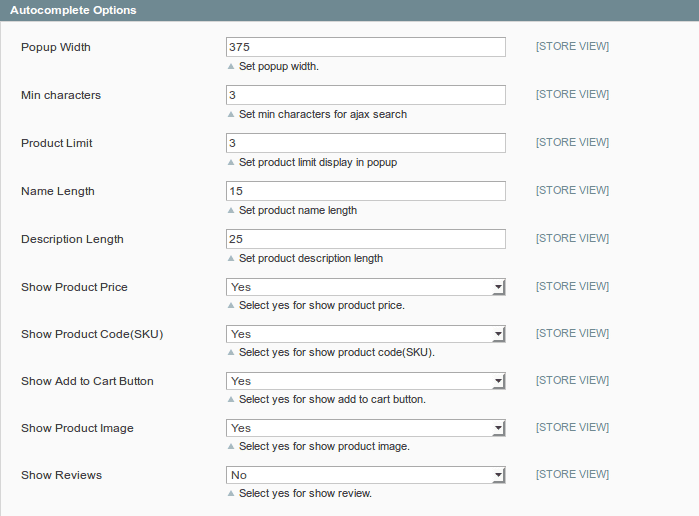 Ajax Quick Magento Search Extension used to search product you write in search box quickly. You can set Search type LIKE|FULLTEXT|COMBINE. Set category wise filter searching. 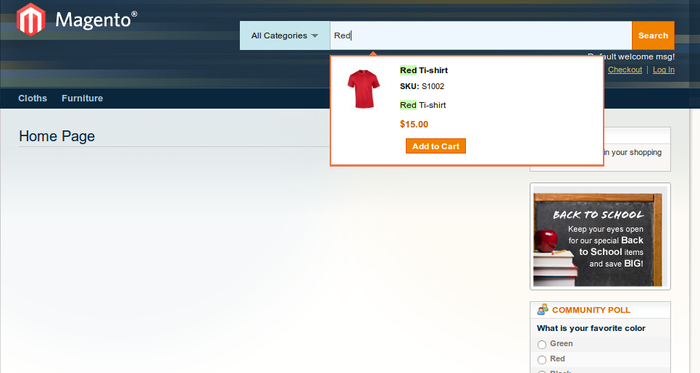 Allow to show product description , image , Addtocart button , review etc on the search result autocomplete section. Allow to design search result autocomplete section as per your theme design. 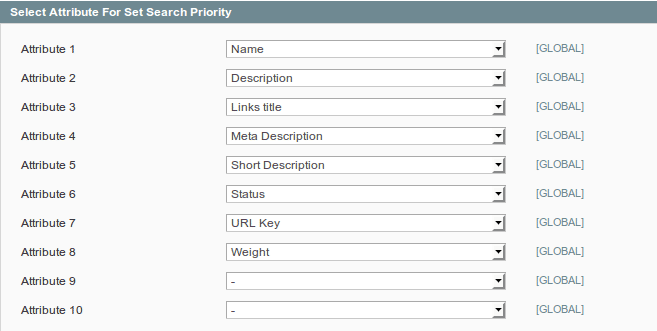 Ajax Quick Search Extension used for search product you write in search box quickly.You can set priority search on attributes . 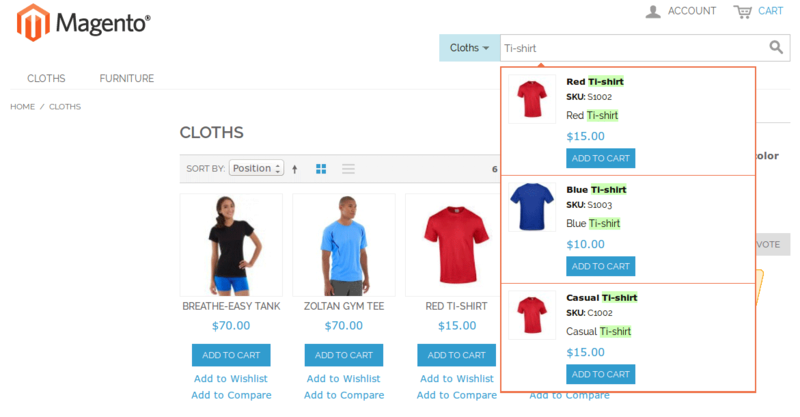 Magento Search Extension provide category filter search and formatting of search result box as you want. Magento Ajax Quick Search Extension gives result in miniseconds.Display result of related products quickly that you typing in search box. Important keywords related to the search query highlighted in the results. 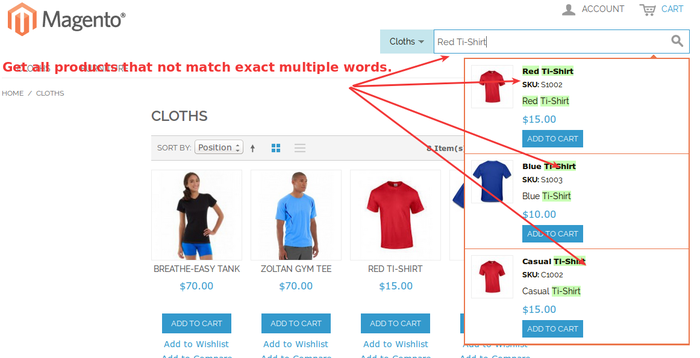 Our extension gives options for set Exact Match Multiple Words or Match separately multiple words. 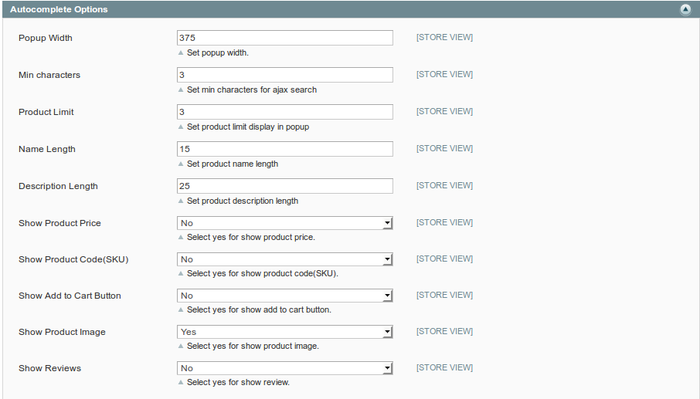 You can manage product details that you want to display in search result using backend configuration. Set color of Highlight keywords. This search extension helps my business so much, my customers now can find products easily and quickly then buy it quickly. Esteem all that and thank you for all. It's incredible augmentation to utilize.We feel especially happy to buy this expansion. We earnestly endorse to all the magento customers. Fabulous augmentation! It gives a vastly improved quest experience for customers. The administration was fantastic. Recommended to all. I just install it and works perfectly, it's fast and looks good..It's easily customize skin, configure product's details in the auto-complete section. It provides a much better search experience for shoppers. It will shows auto complete of products with photo and short description The service was excellent. Highly recommended! => Improve designing with responsive layout. => Display Searchable attribute in the configuration options. Q-1: I have Installed Ajax Quick Search Pro Extension. But when I click on Ajax Quick Search Pro Extension Tab in the config page will get a 404. :(. Ans : After installing Ajax Quick Search Pro Extension. Please Logout from admin account and Re-login and Refresh Cache. Q-2: I install ajax quick search pro extension.Product display in fronted list but not display in search box? Ans :It happen because of not load jquery library. So please enable jquery from Go to Admin -> MageBees -> Configuration.